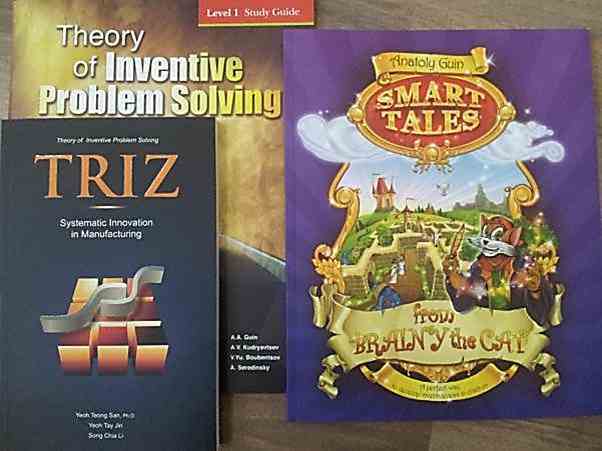 I had the opportunity to learn TRIZ this year. TRIZ is a Russian acronym for Theory of Inventive Problem Solving. It was developed by Genrich Altshuller when he analyzed a great number of patent documents. He hypothesized and distilled several universal principles of invention from the contents of patent documents. He believed that these principles can be taught to people to create or enhance their innovative capabilities. It is preached by many Fortune 500 companies. I manage to participate in TRIZ level 1 workshop which was conducted by Dr TS Yeoh, president of MyTRIZ and engineer of Intel Malaysia. A book on TRIZ in manufacturing is authored by him. In November, MyTRIZ hosted a conference and workshop in Penang with guest speakers, including Dr Sergei Ikovenko of Massachusetts Institute of Technology, Dr Song Mijeong of Samsung and Anatoly Guin, a Russian TRIZ educator. Dr Sergei conducted a workshop on patent circumnavigation. He taught how TRIZ principles can be used to patent around existing competitive patent. Case studies from Hyundai and L'Oreal were shared. I have learnt various valuable lessons that I can use to advise my clients in patent search and analysis. Dr Song Mijeong shared how TRIZ is practiced in Samsung while Anatoly Guin shared how TRIZ is implemented in schools to get children to be innovative. Each participants is provided with two books by him.